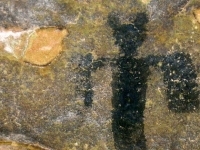 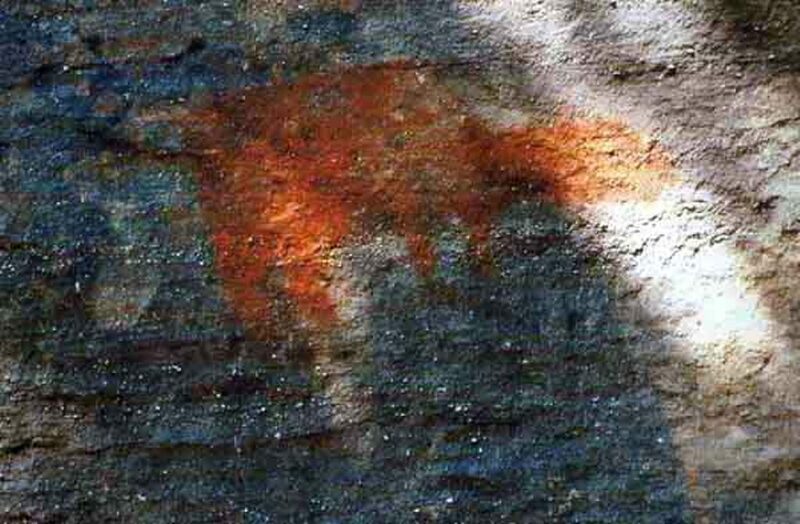 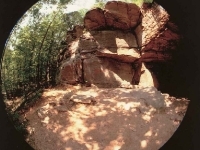 The Buffalo Rock site is a historic period pictograph site in southern Illinois that contains the states’ only known bison painting as well as several smaller paintings of a crescent moon, star, and cross (Figures 1 and 2). 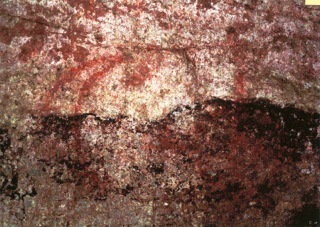 These paintings are believed to have been created between ca. 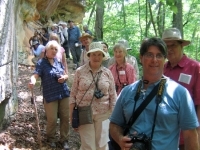 AD 1700-1800 by Native American peoples traveling along the Golconda-Kaskaskia Trace, which is a dirt trail linking the Ohio and Mississippi River whose origins may extend back into the prehistoric period (Wagner et al. 2010;89-106). The site is now owned by the federal government as part of the Shawnee National Forest of southern Illinois. 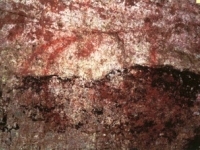 The bison painting is a well-known landmark throughout southern Illinois and the shelter containing the paintings is frequented by campers, hikers, and horse back riders. 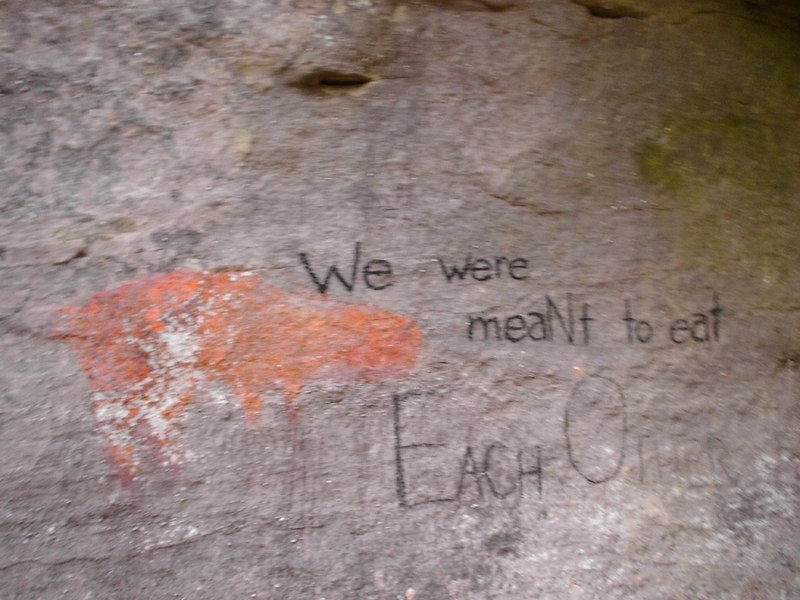 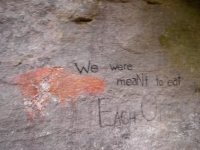 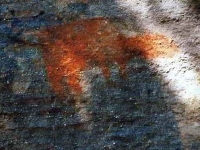 One such group of visitors defaced the site in 2010 by using charcoal, probably from a camp fire, to write the lyrics “we were meant to eat each other” and other phrases from a post-heavy metal band song across the bison and other paintings (Figure 3). 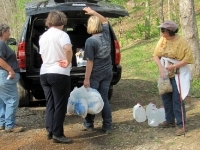 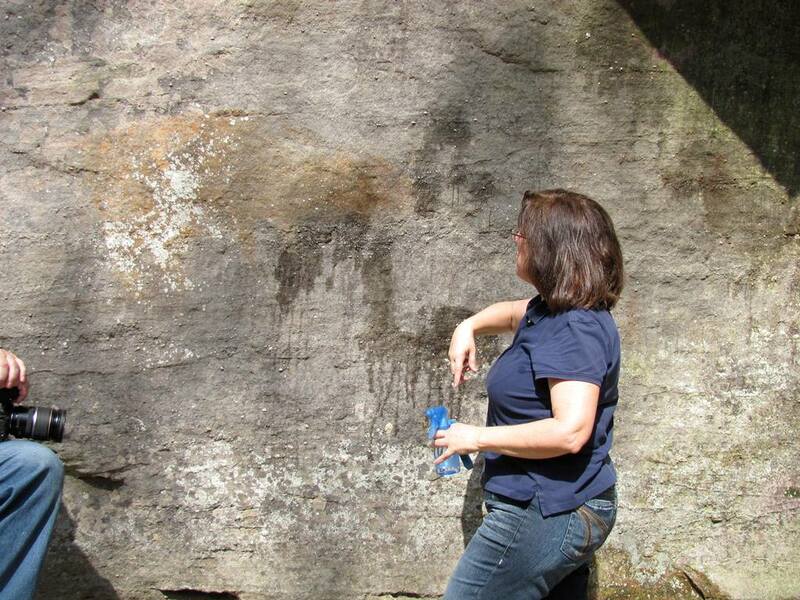 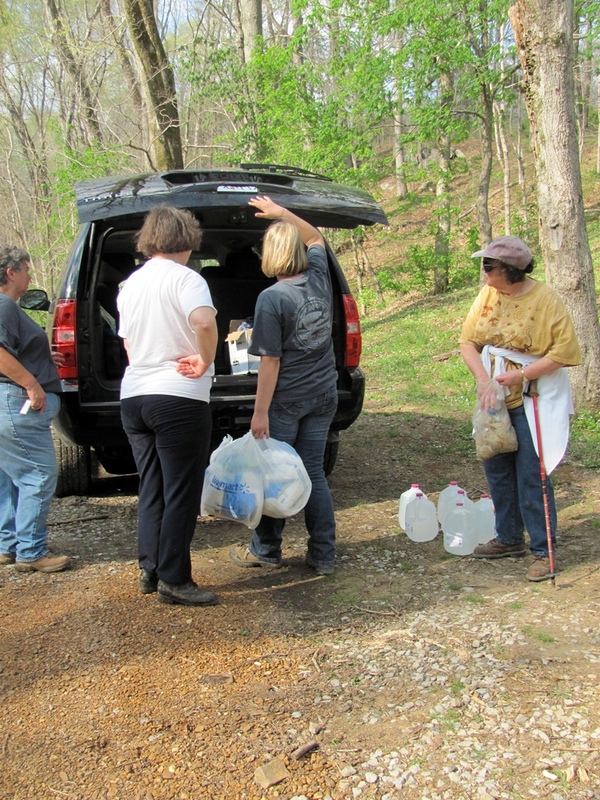 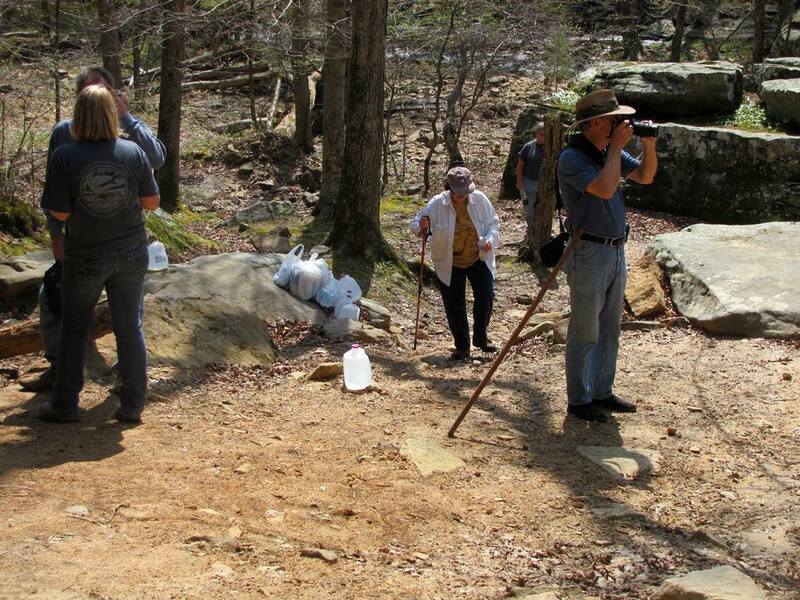 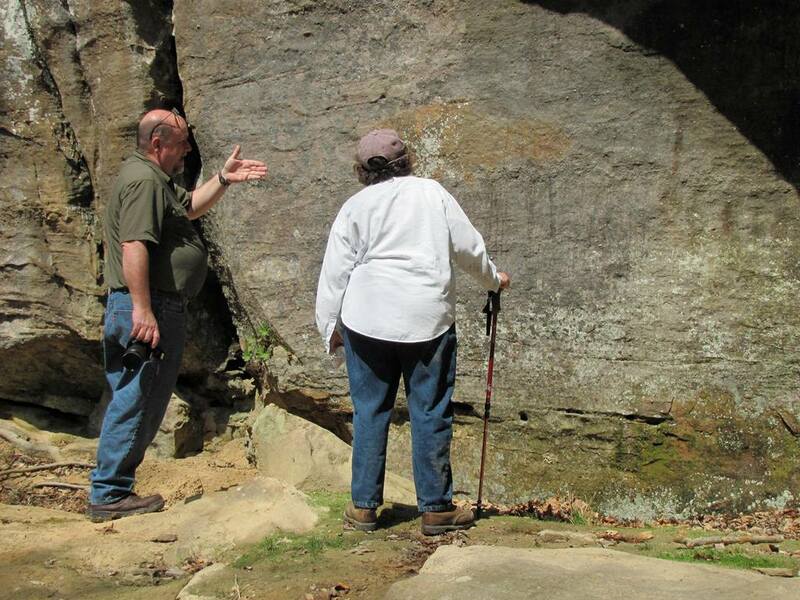 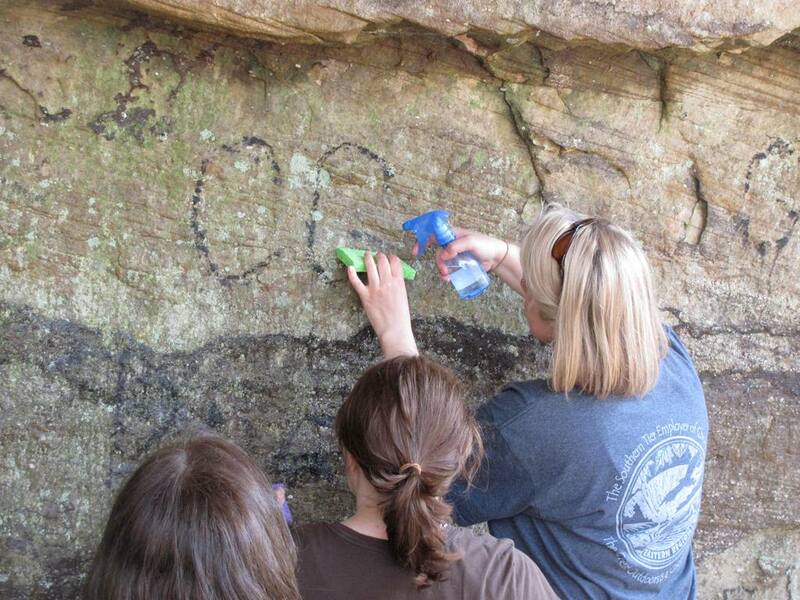 The Shawnee National Forest (SNF) archaeologists consulted with various rock art conservators who advised that the best way to remove the charcoal would be by using distilled water. 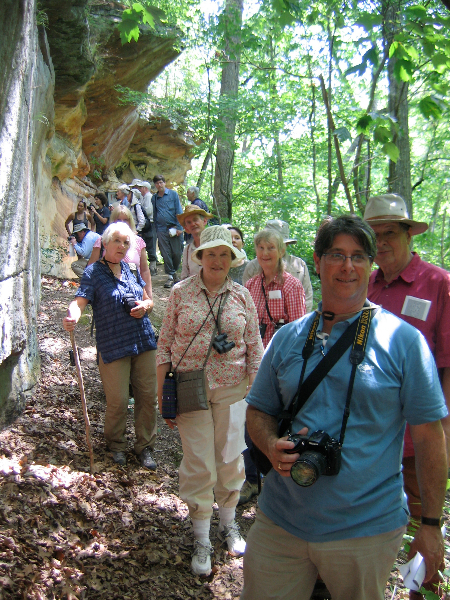 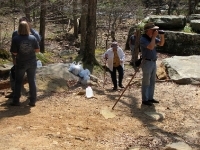 As part of the ESRARA biennial meeting held at Giant City State Park in southern Illinois in March, 2011, ESRARA members traveled to the site to clean the charcoal from the rock face using this technique (Figures 4 and 5). 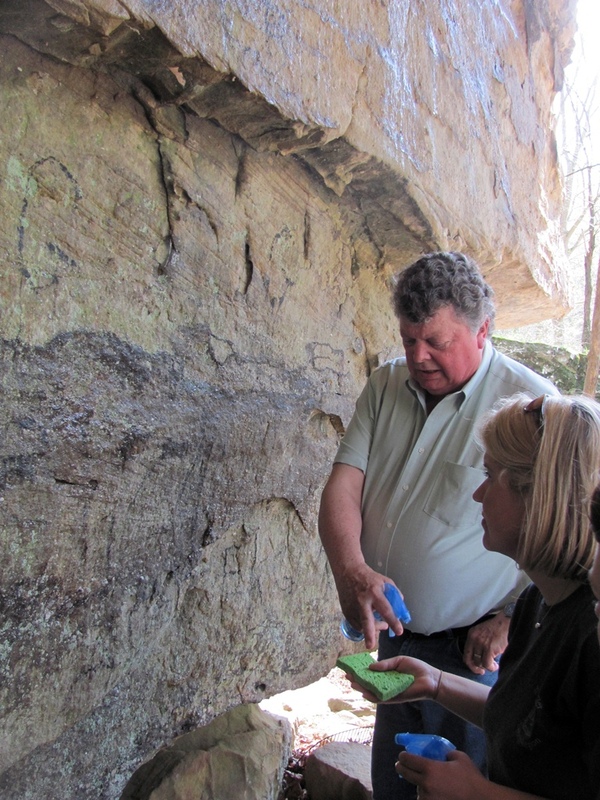 ESRARA member Jim Duncan, who has had experience in cleaning soot and dirt from murals in the Missouri state capitol building, provided instruction on how to clean the charcoal from the paintings without touching the rock face (Figures 6 and 7). 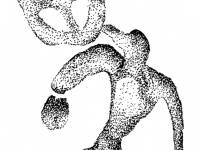 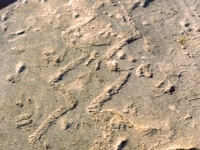 The distilled water was sprayed on the charcoal, causing it to dissolve, with the runoff caught on a sponge held below the sprayed area (Figures 8-10). 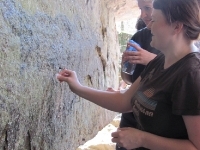 By using this technique it was possible to clean the rock face without having to touch it with either cotton balls or a sponge and possibly smear the charcoal over the rock face. 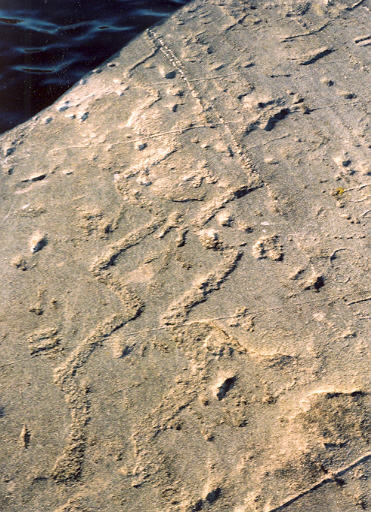 The cleaning was successful and the site now once again appears as it did before the vandalism (Figure 11). Unfortunately, the vandalism at Buffalo Rock is not an isolated incident with several sites on both private and public land in southern Illinois having been vandalized by chalking, spray painting, or other methods in the past several years. 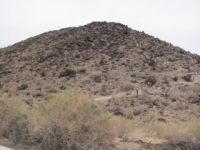 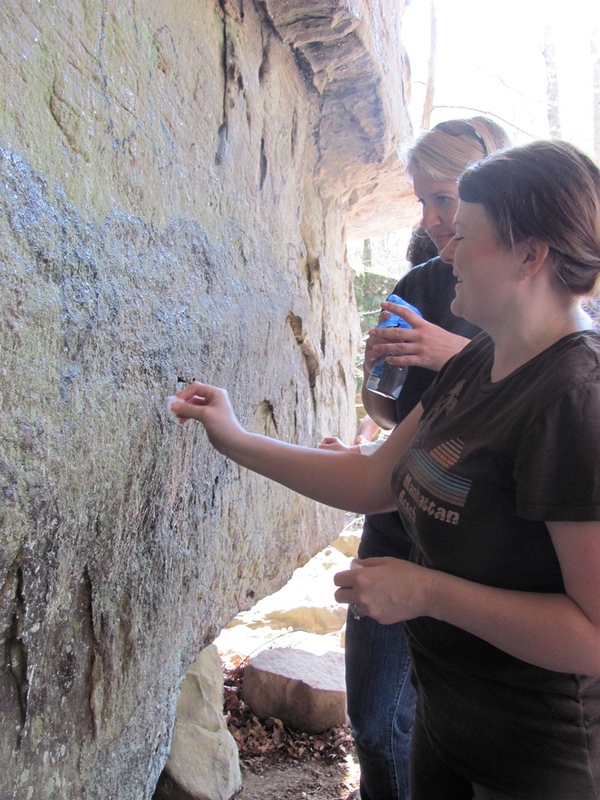 Although the Forest Service protects rock art sites on the lands it manages by a combination of concealing their locations as well as yearly monitoring to check on their condition, the locations of many rock art sites in the region passed into public knowledge decades ago. 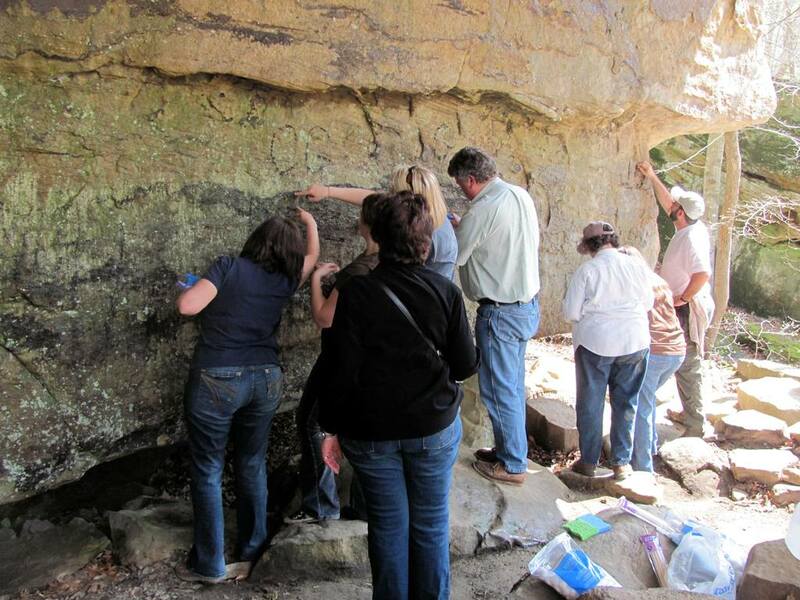 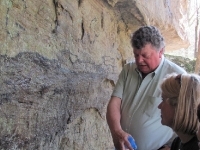 As such, we anticipate that rock art conservation and restoration techniques will become an increasingly important aspect of the management and protection of rock art sites within Illinois. 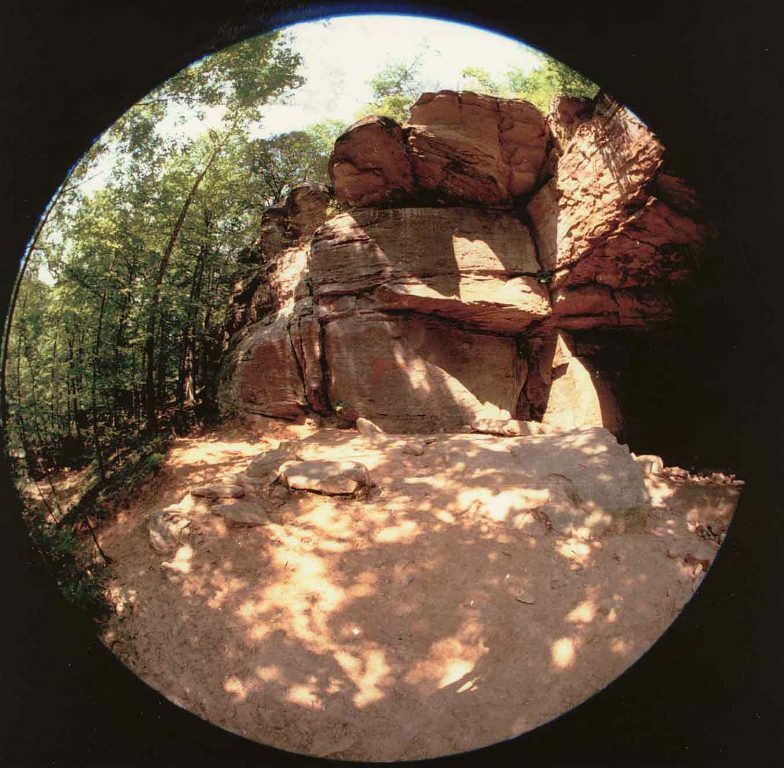 2010 The Buffalo Rock Site (11Js49): A Historic Period Native American Rock Art Site in Johnson County, Illinois. 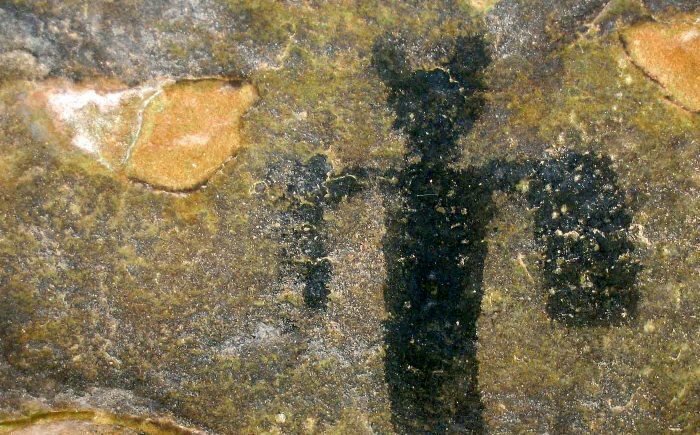 In Pottery, Passages, Postholes and Porcelain: Essays in Honor of Charles H. Faulkner, edited by Timothy E. Baumann and Mark D. Groover, Report of Investigations No. 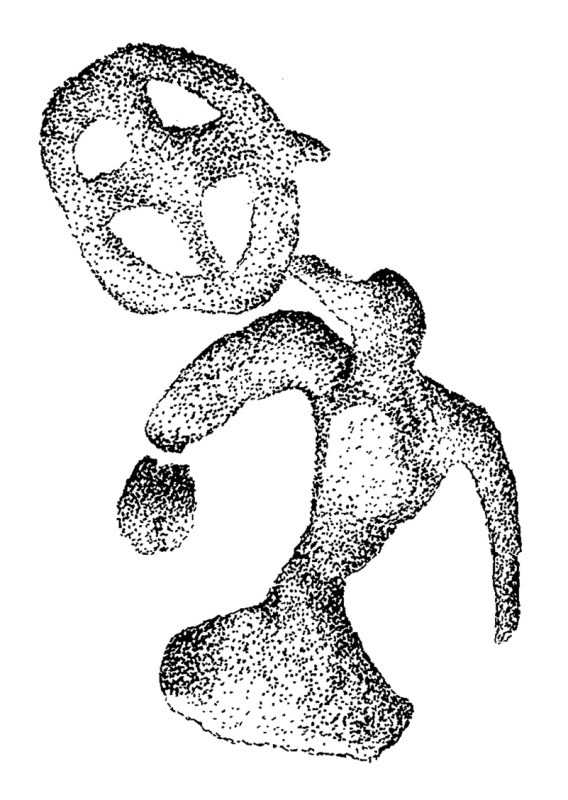 23, Department of Anthropology, University of Tennessee, Knoxville.